Yes [Subtract -$15.00]----Select 'Yes' if you are purchasing a Translator or AXiS together with this chip. A discount will apply. 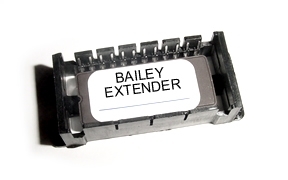 Computer chip for a Turbo Buick or Pontiac TTA, by Bailey Engineering designed to work with the a Basic Translator (will not work with stock MAF or a Gen II Translator) or the AXiS Interface if specified. The Extender reads up to 512 gr/sec of air, and the Extreme reads to 768. Takes advantage of the extended airflow range of a newer MAF. A basic Translator needs to be used (or AXiS Interface).